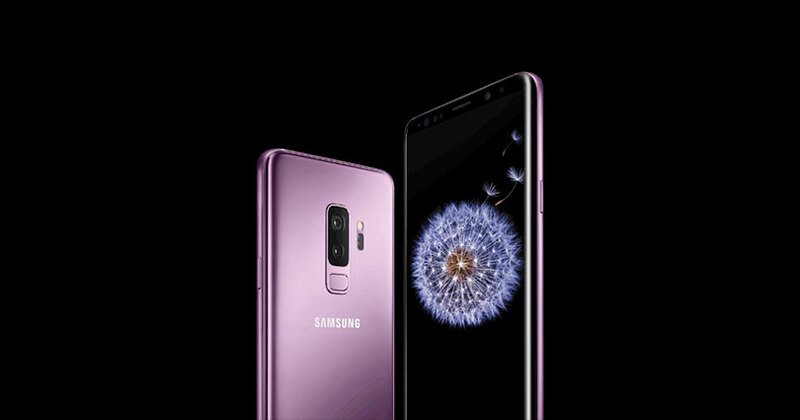 Samsung Galaxy S9 and S9 Plus: the two best mobiles money can buy? Mobile phone news, reviews and the latest #trends. 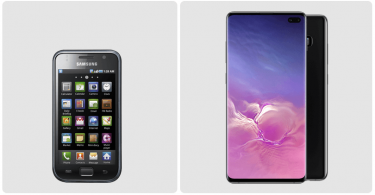 Introducing the next generation of Samsung smartphones. The world expects huge things from Samsung’s latest flagship devices, but will the they deliver this time around? You won’t have to wait too long to find out. Yes, the opening of the Mobile World Congress in Barcelona, Spain saw Samsung make a very important announcement. 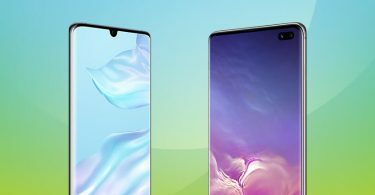 The company will be launching two brand new phones this March and, frankly, they look like they’re about to blow your socks off. Samsung Galaxy S9 and S9 Plus are the latest devices that the South Korean manufacturer is adding to its roster, so what do we know about them so far? While there’s no doubt that the Galaxy S9 bears a real resemblance to its predecessor, the Galaxy S8, it comes packed with a whole lot more style and sophistication. Rather than offering a completely new look with these devices, the people at Samsung have instead chosen to build on everything that worked for them before. Everything feels more refined and less fussy, which is sure to wow users. There’s the addition of a new colour too, which means that you can now get the device in Midnight Black, Coral Blue, and Lilac Purple. The latter is perhaps the most divine incarnation. The folks at Samsung clearly know that too; it’s the one you’ll see all over the promo material at the moment. 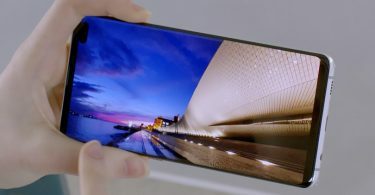 The Galaxy S9 and S9 Plus measure in at the same sizes as the S8 and S8 Plus; the smaller device comes in at 5.8 inches, and the Plus version 6.2 inches. Both boast the almost bezeless Infinity Display, and come with a pixel-popping Quad HD (2960 × 1440) screen resolution. Of course, one of the biggest design flaws with the Galaxy S8 was that you’d always end up smudging the camera when you tried to use the fingerprint scanner. With the S9 and S9 Plus, Samsung has solved this issue. The scanner has been moved a little lower on the rear of the phone. It’s a small change, but it makes a real difference. So, what Samsung Galaxy S9 and S9 Plus features can we expect here? Well, the team has upgraded the somewhat new DeX, which allows users to use their phone as a desktop. You can expect a more streamlined experience here. Bixby has had a bit of a makeover too and now has new skills, which should mean that the AI is smarter than ever before. As though that weren’t enough, the brand is soon to launch a great little feature called Bixby Food. The idea is that you can take a photo of any meal you’re about to eat and the feature will let you know the total calorie-count. Perfect if you’re on a diet. There’s also the brand-new AR Emoji, which allows users to create a cartoon augmented reality version of themselves when using the phone’s camera. Once you’ve made a little emoji of yourself, you can share it with your friends using SMS or a load of other messaging apps. You can customise your emoji too, changing everything from their features to their clothes. Oh, and then there’s the feature we’ve all been waiting for… facial recognition for unlocking. (We know, we know, it’s basically Apple’s Face ID, but let’s keep an open-mind here.) The S9 and S9 Plus also tout an iris scanner (which works in combination with facial recognition) and fingerprint scanner, giving them three levels of top-notch security. Cameras are a huge deal in the world of smartphones, and the Galaxy S9 and S9 Plus won’t let you down. This is where they excel. The standard version of the phone features a single rear 12-megapixel camera with Dual Aperture for shooting in bright lights and low light, while the Plus version features an extra camera in addition with a wide-angle lens that captures more in every shot. And optical image stabilisation keeps the results looking clear, even when your hands are a little shaky. 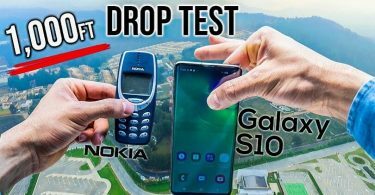 Both new Galaxy smartphones boasts a next level video camera, capable of recording Super Slow-mo footage at a ridiculous 960 frames per second. With Motion Detection turned on, your camera automatically starts filming when you need it to. And you can even save your slow-mo masterpiece to your lock screen. Similar to iPhone’s Portrait mode, Samsung Galaxy S9 and S9 Plus offer a setting called Live focus, that lets you adjust the amount of background focus using a slider, bringing your subject to the front. But wait, what’s under the hood? In the UK, Samsung Galaxy S9 and S9 Plus run on a powerful Exynos 9810 chipset. The Galaxy S9 comes with 4GB RAM, whereas the 9 Plus boasts a little more at 6GB RAM. Both will arrive loaded with Android 8.0 Oreo. When it comes to battery life, you get plenty of juice from these two powerhouses. The S9 packs a solid 3,000mAh battery, and the S9 Plus a larger 3,500mAh (the larger screen size requires the extra power). You likely won’t notice much of difference when it comes to the two phones here. If you’re bursting with excitement, the good news is you don’t have long to wait. In fact, pre-orders for Samsung Galaxy S9 and S9 Plus have already started. What’s more, if you pre-order it early, you can get yours 7 days early! The official launch is 16 March, but early pre-orders will have theirs delivered on 9 March. Let’s talk about price, shall we? 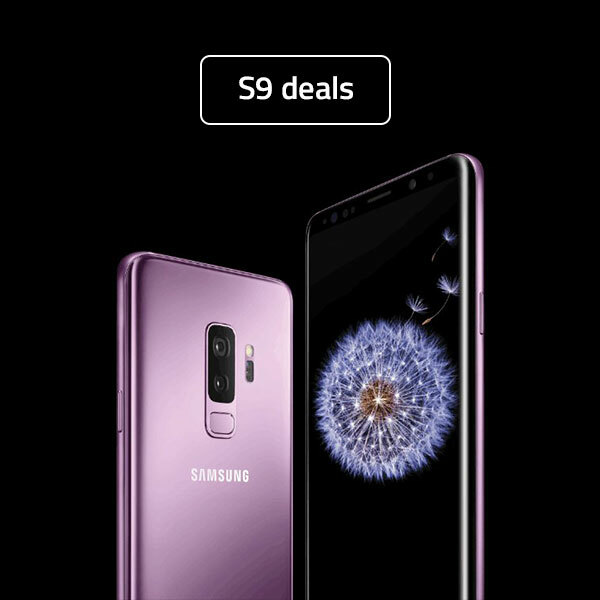 You can pre-order your Samsung Galaxy S9 on contract for £48 a month with £0 to pay upfront. SIM free, you can pre-order for £739. And on finance, it’s just £32.48 a month. As for the Galaxy S9 Plus, it’s available to pre-order on contract for £56 a month with £0 to pay upfront. Or you can grab one SIM free for £869, or on finance for just £38.19 a month.